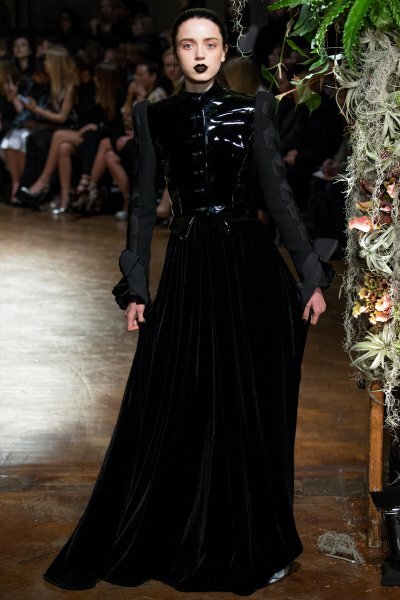 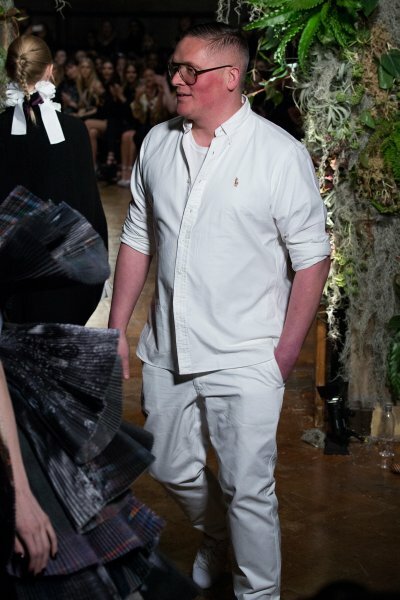 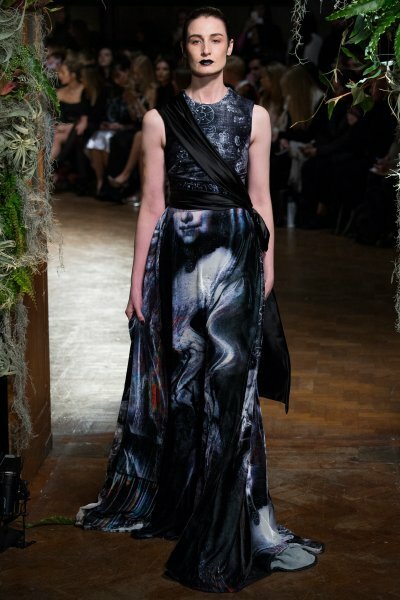 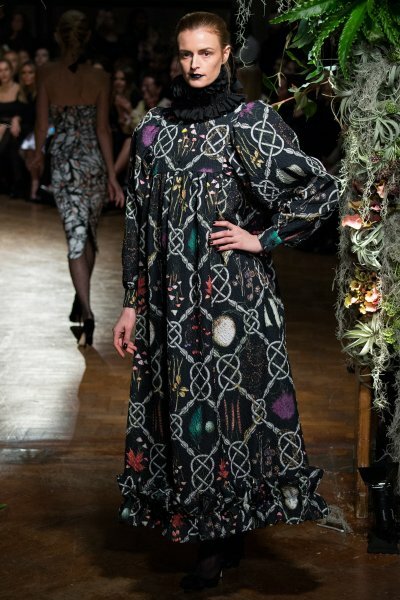 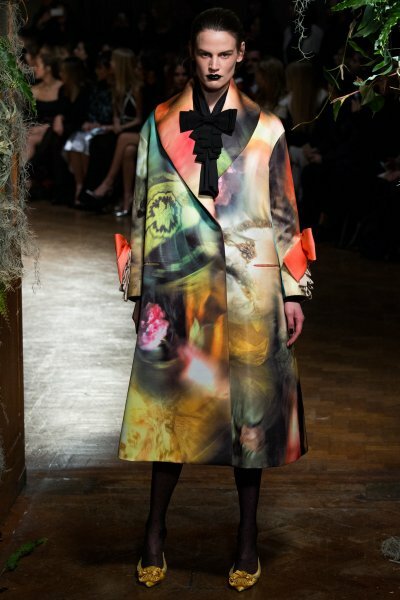 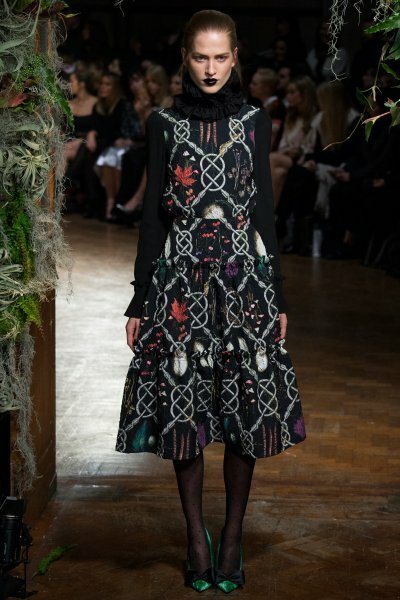 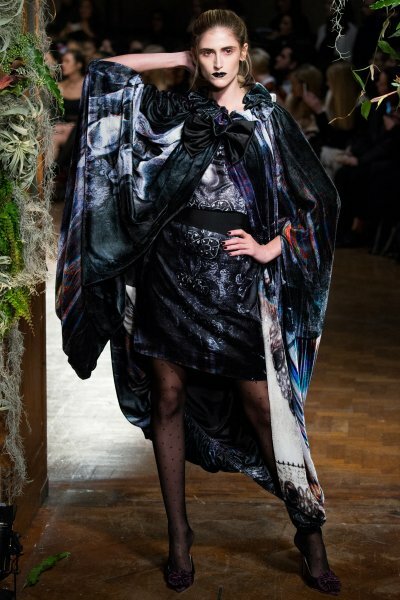 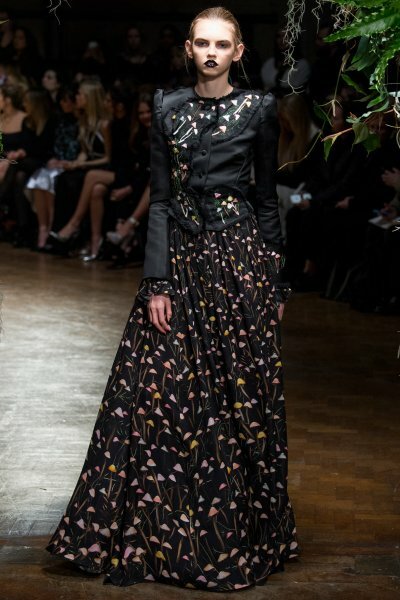 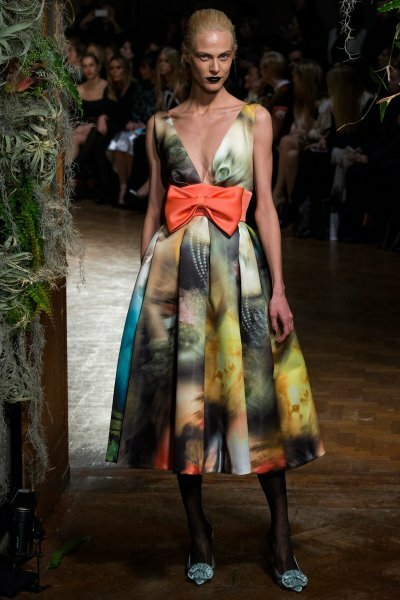 Giles Deacon’s Fall/Winter collection, reawakened the spirits of the women who might have ambled the lanes of the Chelsea Physic Garden around 1673 when it was founded. 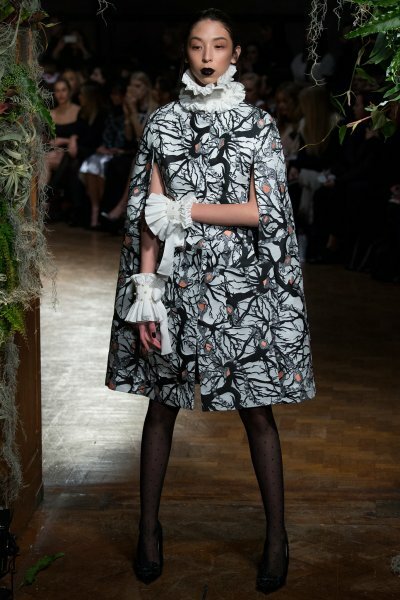 The ruffs, capes, and frock coates all added to the mystic, séance quality of the collection. 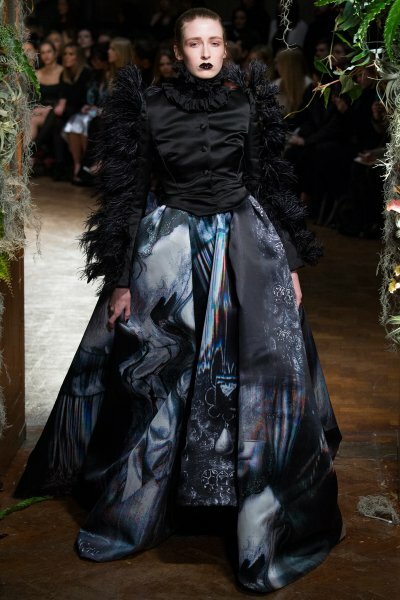 The prints were another matter; something conjured up in a hallucination perhaps. 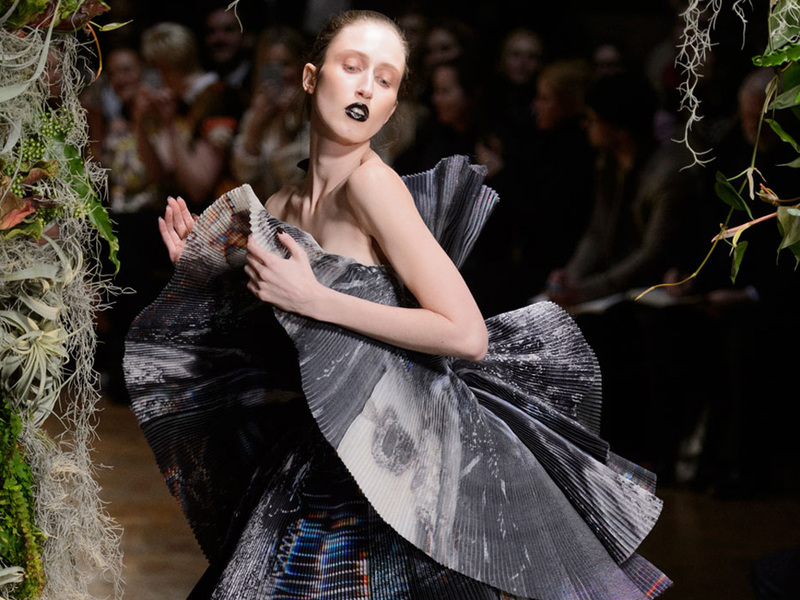 Anna Cleaveland, Pat Cleaveland’s daughter, stole the guests’ attention in one of these hallucinatory prints, a fanned out cocktail dress, as she pirouetted around the showspace.